Gorgeous four bed bungalow located in a lovely area, with plenty of local amenities close by, including Derby University, Darley park and access to the city centre with the A38 and bus routes close by. 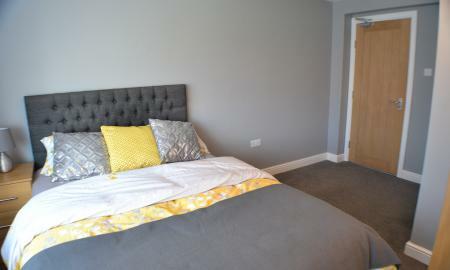 Ground floor new build apartment to rent within close proximity of the Royal Derby Hospital and A38. The apartment comprises of a large open plan living area with kitchen off which comes with all white goods included, large double bedroom with en suite facilities and a separate bathroom with bath, WC and WHB. **Modern Two Double Bedroom Townhouse** Located in a popular area of Oakwood this property has just undergone a full renovation. Consisting of a modern kitchen area, lounge with French doors to the rear low maintenance garden. Upstairs there are two double bedrooms with new carpets and family bathroom with shower over. To the front is a lawned area and space for parking. Call now to arrange a viewing. 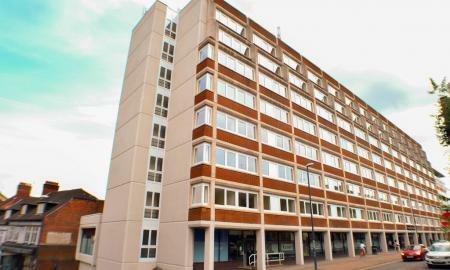 We are excited to bring to market this one bedroom apartment located in the new Prosperity House development complex in the centre of Derby. The fully furnished apartments Prosperity House have to offer are located right on the doorstep of Derby´s Intu Centre and also all the bars, restaurants and shops that the city centre has to offer! 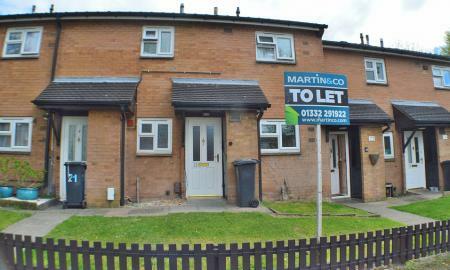 Martin & Co are delighted to be advertising this newly refurbished gorgeous 4 bedroom house share. The rooms are all available NOW!! With no agency fees!! 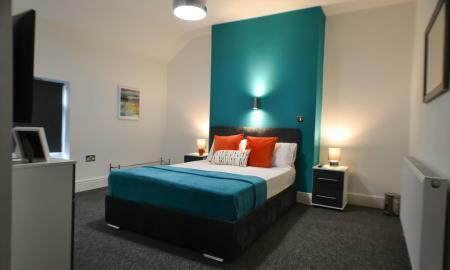 Each double room has it's own individual style. 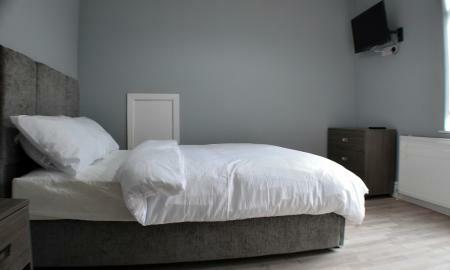 Our largest room has it's very own en suite! There is a great sized garden with decking, Perfect for sitting out on in the summer! All bills included in the monthly prices. 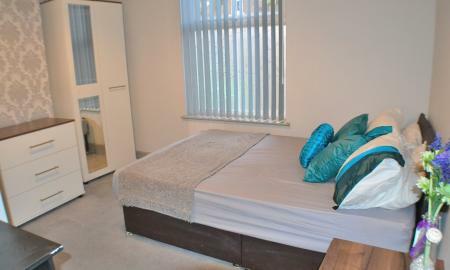 What an opportunity to snap up a room in this luxury houseshare!! 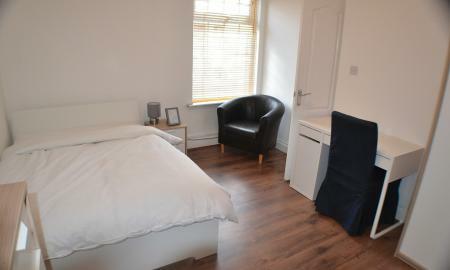 with professional working tenants Large furnished double room with ensuite. Separate insulated laundry room Professional working tenants 10 minute walk to the centre of derby, 10 minute walk to the train station and buses to Sinfin, Rolls Royce and Pride Park. 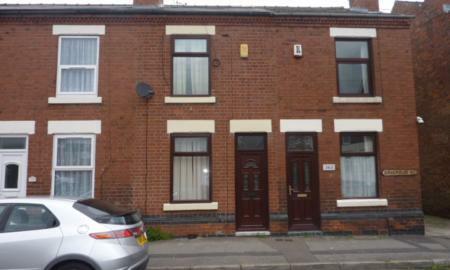 Fully Refurbished and all bills included, this property is highly recommended for comfort and style. 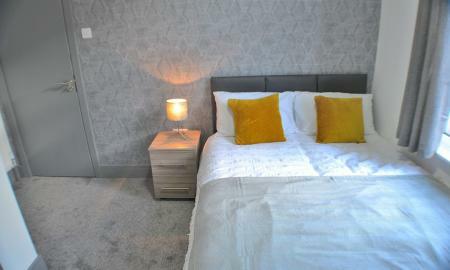 One Luxury En-Suite Double Room built to top specification. 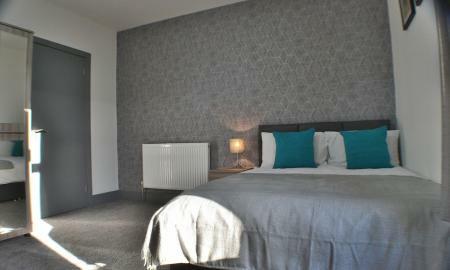 Premium carpet throughout with communal dining kitchen complete with 2 ovens, washing machine and large fridge freezers! All appliances included! Be sure to book in early to get first dibs on rooms. These will definitely go quick! Located in the popular area of Mickleover the En-suite room would ideally suit professionals working at Royal Derby Hospital, mature students or those requiring access to the A38 and ring roads. ***Ground Floor Large One Bedroom Flat Available To Rent Now*** This property is a large one bedroom, ground floor apartment which is located at the edge of Stenson Fields. The ground floor one bedroom flat would ideally suit a single person or couple. 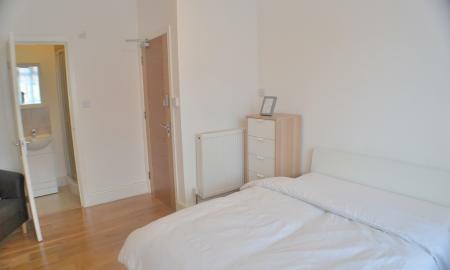 It has good bus routes to city centre and is close to RR. It also would be ideal for somebody requiring ground floor access. 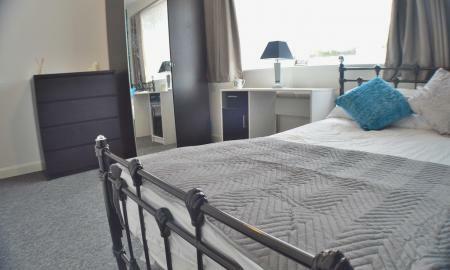 The property consists of a large lounge area, large double bedroom with wardrobe, chest of draws and desk. Bathroom with shower over bath, WC and WHB. The kitchen comes with a gas cooker, washing machine and plenty of storage space. Call now to arrange a viewing, or for further information about the furnished/unfurnished options. **MID TERRACE** TWO BED FAMILY HOME** IN THE SORT AFTER LOCATION OF ALVASON** TWO RECEPTION ROOMS** FITTED KITCHEN** TWO DOUBLE BEDROOMS** BATHROOM WITH WHITE 3 PIECE SUITE** GREAT LOCATION**WILL ACCEPT THE BOND SCHEME. Available now is an en-suite room in this 6 bedroom property that has recently been refurbished throughout to a high specification. Each room comes with its own en suite bathroom. 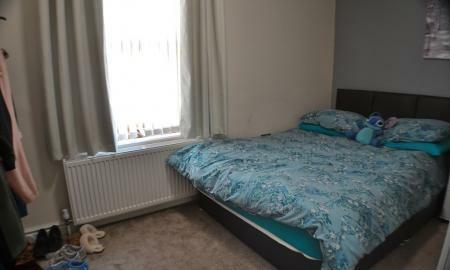 The house is carpeted throughout and each room comes with furnishings to include; double bed, wardrobe, chest of drawers and double bed with mattress. There is a large kitchen dining area. Perfect for students and professionals alike. Call now. 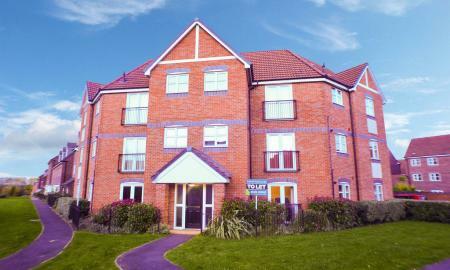 **£200 OFF THE FIRST MONTH'S RENT & NO APPLICATION FEES! ** Martin and Co are proud to showcase a beautifully decorated four bedroom house-share (HMO) with four en suite bedrooms. Available to rent for individuals or as four professionals searching for above-standard house-shares. The property is located in perfect distance for commuting in and around the city centre, also ideal for those travelling via bicycle or public transport. There is on-road parking available. Welcome to this superior Professional House-share Located in a prime location for Rolls Royce, Bombardier, Pride Park and EMA. This property has JUST come to the market and offers super high-spec living facilities! The property has been completely renovated throughout to offer contemporary modern accommodation. Available to rent in April is this professional houseshare ideally located for Rolls Royce and Bombardier. 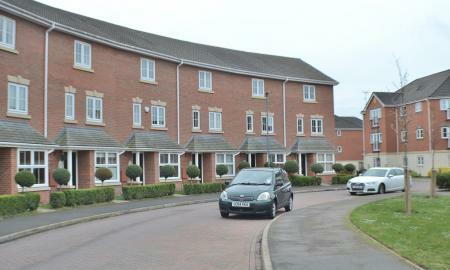 Located opposite Bombardier and with good access links to the city centre. The property consists of four rooms with en suites. 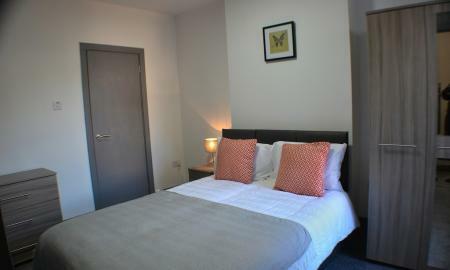 There is a communal lounge area with seating for all tenants along with a modern kitchen with all appliances included. There is on street parking to the front of the property.